What’s your favourite example of a design used to combat sexism? Who received a unisex scent this Valentine’s Day? The idea that a woman should smell of delicate florals and a man of smoky wood is being overruled by the rise of unisex and made-to-share fragrances in unfussy, intentionally gender-neutral packaging. I’ve seen perfume brands like Byredo leading the way with its clean, understated packaging that markets the quality of the product, rather than who it is for. When you really think about it, there is no defining characteristic that makes a scent intrinsically feminine or masculine; it’s all a result of gender ideology and years of powerful marketing. 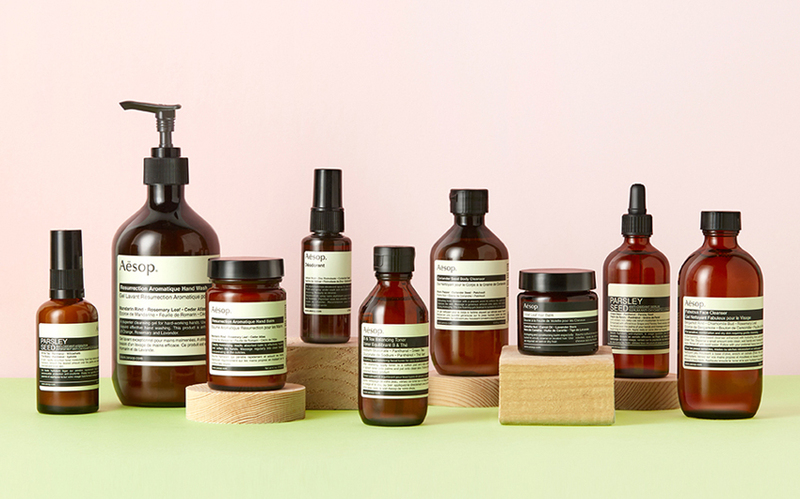 Another beauty brand – and possibly my favourite – that doesn’t play to individual genders is the Aussie label Aesop. Its skincare range is founded on shared attitudes and values, and communicated with sophisticated simplicity. When you enter an Aesop store, there are no glossy packs, counters or adverts promising eternal beauty. Instead, you will see matter-of-fact statements about ingredients and honest discussion about efficacy. It’s an exciting time for graphic designers at the moment. Instead of working with tired, traditional visual cues that express femininity or masculinity, there’s a sense of new-found freedom as we focus on functionality in design.